To paraphrase the incomparable Sophia Loren, beauty is how a cat feels on the inside. A luxuriantly shiny, healthy coat is the sign of well-nourished and nutritionally nurtured feline. 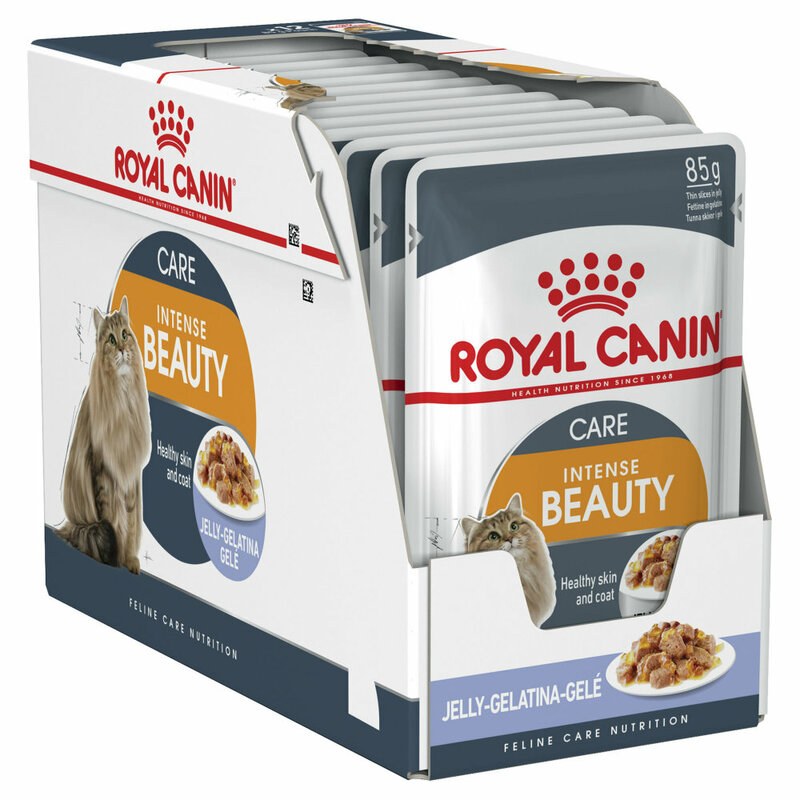 Royal Canin Intense Beauty Adult in Jelly is infused with omega 3 and 6 fatty acids, vitamin B, zinc, biotin and trace elements, making it a sure-fire way to set your cat on the way to glowing good health – inside and out.